The Punjab government, particularly Mr Badal, is trying to divert the attention of people through its false propaganda of development. The issue has taken away some sheen from the cadre and even some senior officers disapprove of the demand. 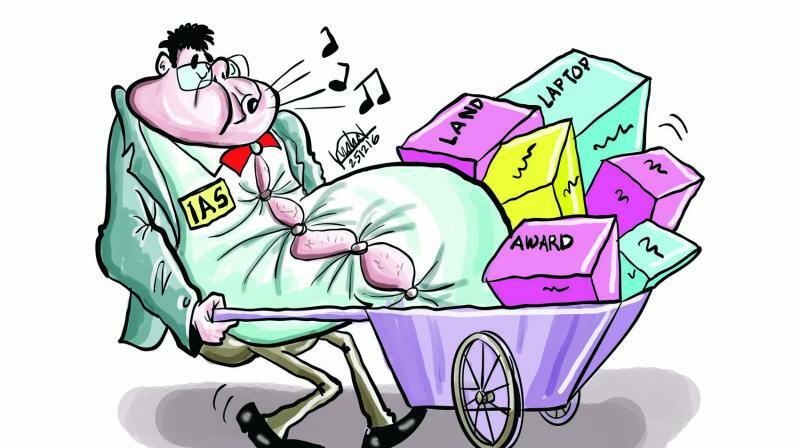 IAS officers have finally proved that like everyone else, they too have feet of clay. The elite cadre officers, who normally sneer when any group or community makes a demand to the government and crib at being called a “babu”, recently asked the Akhilesh Yadav government to give them plots in Lucknow and Noida and also distribute laptops to them. During the recently-concluded IAS week, the officers just had these demands to make to the government. There was no demand for a policy against frequent transfers, which rankles most officers. The demands, ironically, came at a time when the provincial civil service officers — often referred to as their “poor cousins” — were staging demonstrations against manhandling of their members by a group of lawyers. The IAS officers, expectedly, did not support the PCS officers and it was only when the latter threatened to proceed on strike that the government intervened. “They (IAS) have finally proved that they are as good or bad as you and me. They are also seeking favours from the government and awards for their wives. If we do this, they will blast us,” said a retired PCS officer. Tathagata Satpathy, Biju Janata Dal Lok Sabha member, has an inimitable sense of satire, which he often uses to attack leaders of rival parties — the Congress and BJP. Though not an official party spokesperson, Mr Satpathy often uses every available opportunity to launch offensives against the Opposition, ostensibly to please his master — Odisha chief minister and BJD president Naveen Patnaik. 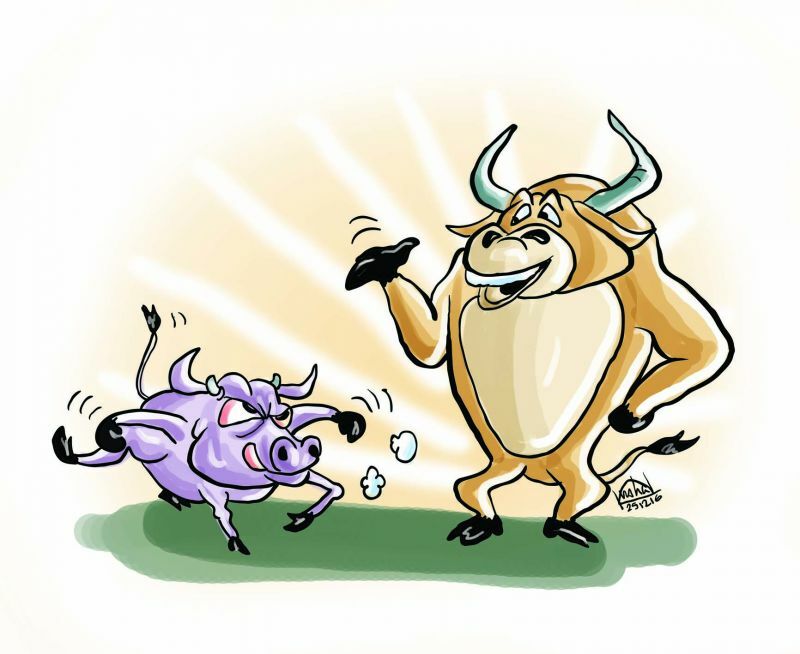 “Let the calves first grow as balad (oxen) and then graduate to bulls, after which it will at least be eligible to take on our saandh (Mr Patnaik). When their (BJP and Congress) senior central leaders are all praise of our saandh, why are these calves making noise here and dreaming to become chief minister of Odisha?” said Mr Satpathy. Although the BJD MP did not mention anybody’s name, sources said he was very much targeting BJP leader and Union PNG minister Dharmendra Pradhan, who these days has been attacking the Odisha CM on different issues vehemently. The Aam Aadmi Party has launched a unique programme over the counter-claims made by deputy chief minister Sukhbir Singh Badal that he is bewildered by the huge response of the public to the policies of the AAP. The Punjab government, particularly Mr Badal, is trying to divert the attention of people through its false propaganda of development. In order to counter the deputy CM, the AAP has started a programme named “Sukhbir di gup, AAP da sachch (claims of Sukhbir, truth by AAP)”. AAP leader Charanjit Singh Channi said that Mr Badal is popularly known as “gappi (a person who makes tall claims)”, and he does not even bother to check the actual position before making tall claims in public. 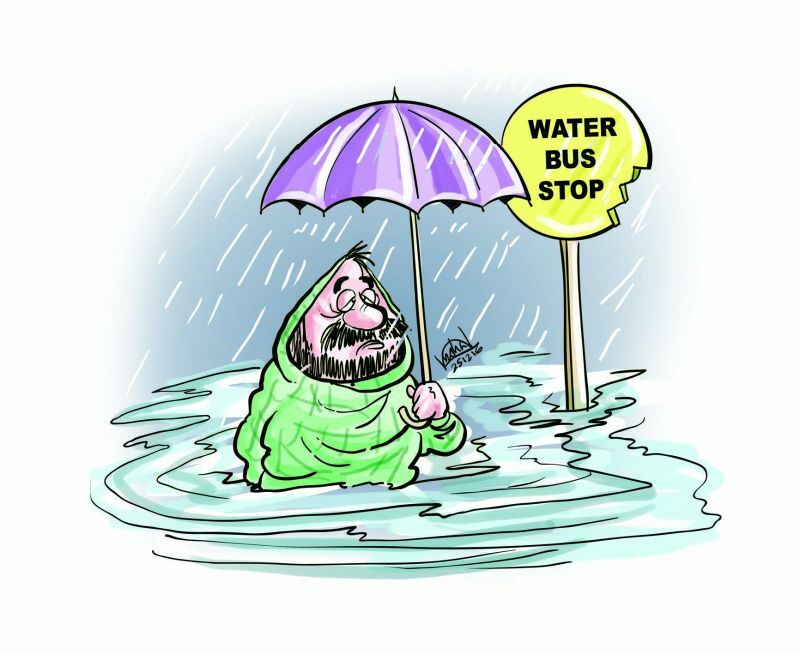 Citing an example, Mr Channi said Mr Badal’s dream project of a water bus, which is lying under lock since its inception has cost dear to farmers as several acres of crops have been destroyed because excess water was let out to run this water bus. He said that people of Punjab were well versed with the hyperbole of Mr Badal, and they will show Akalis the door in the 2017 elections.